The garbage crisis has been going on for months. The Lviv authorities have spent about 100m hryvnyas to send its waste to other regions, Prime Minister Volodymyr Groysman has said. He is in the city for a regional commission on emergency situations. The prime minister said that thanks to financial decentralization, Lviv's development budget for 2017 is at 1,800m hryvnyas, a part of which can be used to resolve waste disposal problems. "By rough estimates, the city has spent about 100m hryvnyas on moving its waste across the country," the head of government said as quoted by his press office. Lviv generates about 600 tonnes of garbage every day. Late last May, four rescuers and an employee of the local utility company got buried under a 100,000 cu.m. waste landslide at the city's main dump near the village of Hrybovychi. One body remains not found to this day. 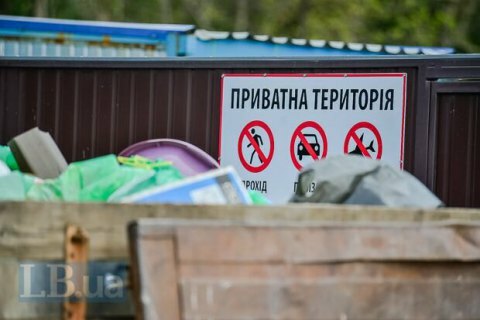 After the tragedy, Hrybovychi community banned Lviv from using the landfill. The city found itself on the brink of ecological disaster as other landfills across Ukraine refuse to accept waste from Lviv. The Lviv mayor's office has repeatedly accused the central government of ignoring the problems of the city. The Self-Help party, headed by Lviv mayor Sadovyy, has on more than one occasion alleged that Kyiv does that to harm the image and popularity of the mayor. Earlier on Friday, Prime Minister Groysman said Lviv will be allocated a land plot for a new garbage disposal facility.